"My blood sugar level was around 260-280. 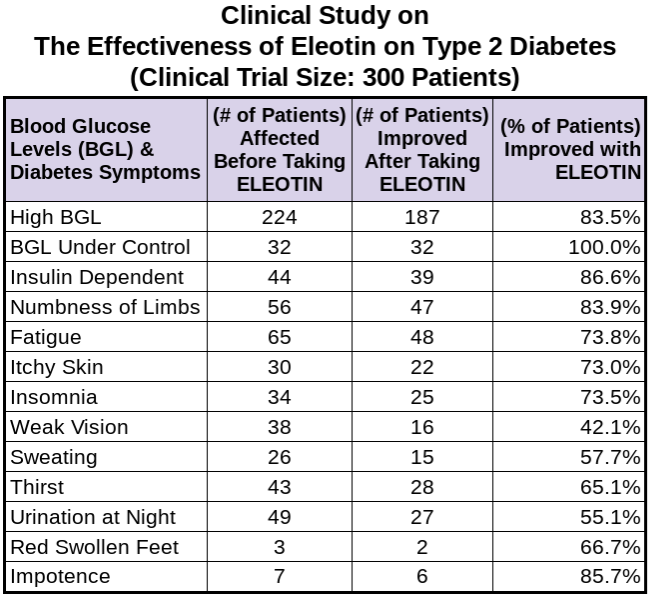 After I took Eleotin for 8 months it stabilized at 90-110." "A 2002 study at Tsinghua University in ​China showed that 70% of participants were able to ​stabilize their blood sugar using Eleotin." Get our FREE eBook and Newsletter!! !